A 28-year-old biker has died after a head-on crash with another man who is still fighting for his life. 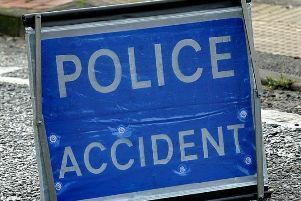 The pair of bikers were rushed to John Radcliffe Hospital in Oxford after the crash on the A422 close to Deanshanger on Monday night. But the 28-year-old man from Milton Keynes, who was riding a blue Yamaha R1, has now died. The other biker - a 45-year-old man riding a black Harley Davidson - was travelling from the direction of Old Stratford. He remains in a ‘critical and life-threatening condition’. The incident happened at around 11.50pm and police believe the driver of a white car may have seen something. Anyone that witnessed the collision or has any information is asked to contact the Serious Collision Investigation Unit on 101. Alternatively, call the Drivewatch Hotline on 0800 174615.